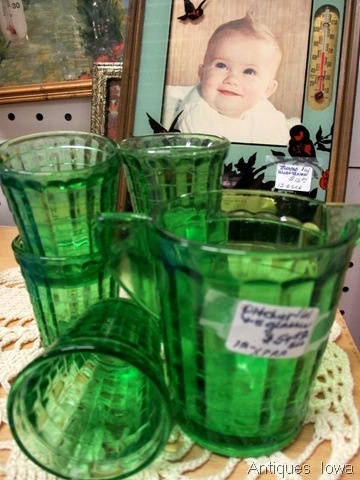 Last weekend, Antiques Iowa was crazy busy. Spring was sweetly warming up our days. Everyone was out enjoying. 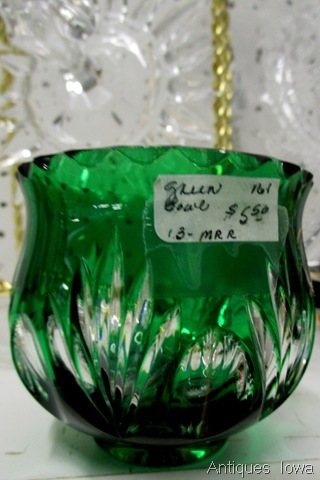 I thought that I would just take some pictures of green glass in Antiques Iowa. May your pockets be heavy and your heart be light. May good luck pursue you each day & night. 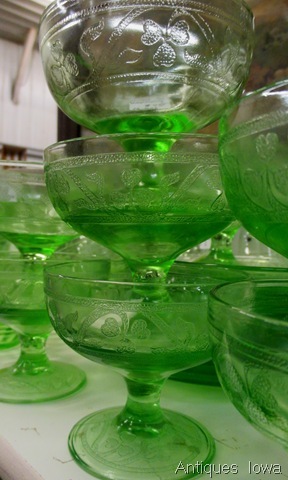 When you think of green, what do you think of besides SPRING? Green can be used as a neutral in Interior Design because it goes with every other color…just think of a meadow scene with flowers, sky & stream! Green is prosperity & many financial offices are painted green because it is the color of money. Green can vibrant & also calm. I think about the ocean and I think about Ireland! Even though I’m not one bit Irish, I love their blessings! My husband & I visited Ireland last August. What a beautiful country, lovely people, great refreshments ANDTHE MUSIC! We took a coach tour & I would go back in a minute; but, rent a car so that I could be on my own time & not the travel schedule. Then I could just sit & gaze up at the castles & feel the Irish spirits! I’m wishing for Friday, March 14th just a few short days away. It is our annual SPRING BREAK SALE! It is our longest sale because we start with the first Friday & go until the Monday after Spring Break for those still traveling. 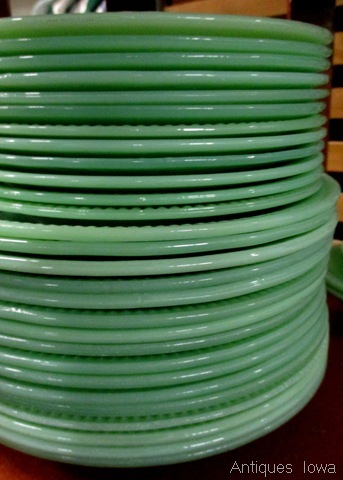 SPRING BREAK SALE MARCH 14TH – 24TH & ST. PADDY’S DAY TOO! You all know this…we are not a mall that forces its dealers to be on sale. So MOST will be on sale… maybe half a dozen (out of our 130) won’t choose to be involved. Most will choose 15%, but some will be 20-40% off. It is fun to see what happens! 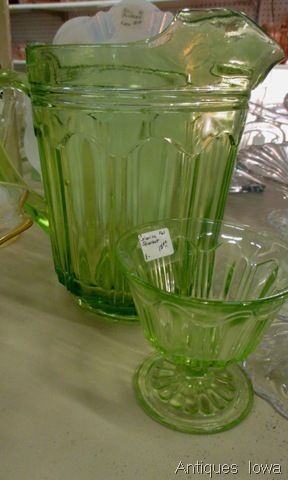 It is a good time to visit Antiques Iowa! I thought about leaving out the religious part of this blog. I truly don’t want to offend anyone, but this is who I am & if you were my friend, if you are going to be my friend then you would quickly figure this out. Born & raised Catholic, I’m a pretty strong prayer warrior. Last week was the beginning of Lent, a time to reflect on what we are doing right & wrong in our lives. As a child, I thought that Lent was about sacrifice…giving up something you loved like pop or chocolate & eating fish every Friday. As an adult, I know it is so much more than that. Today I read, “Ask God…Lord, how am I doing?” This is what I’m thinking about today!